Murder, Mystery and History mixed with Romance today! The St. Louis Post-Dispatch Journals did on nice spread on the book and me. Check it out here. I’m offering new readers one addition early readers missed. 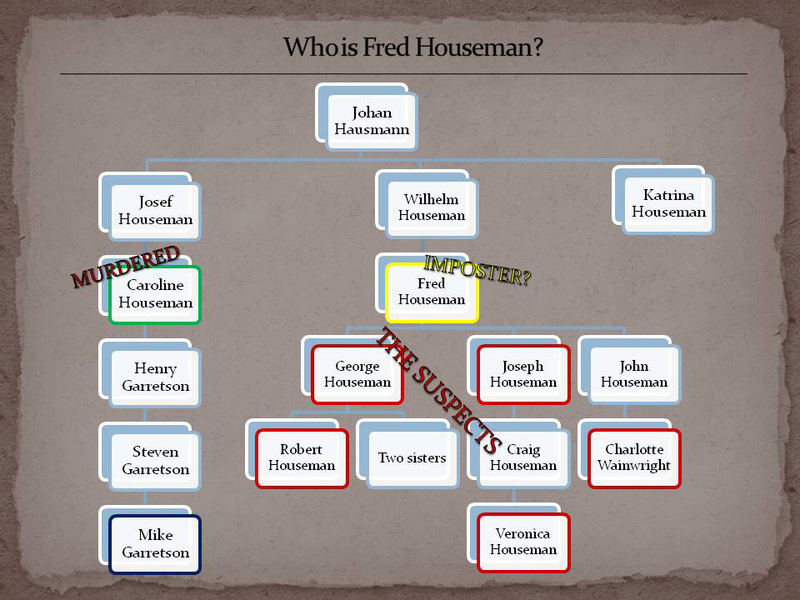 A Family to Die For has a rather complicated set of suspects, all in hero Mike Garretson’s murderous family tree. Take a look below (click on the image to see a larger one) at his ancestry if you want to see the key players in the book. 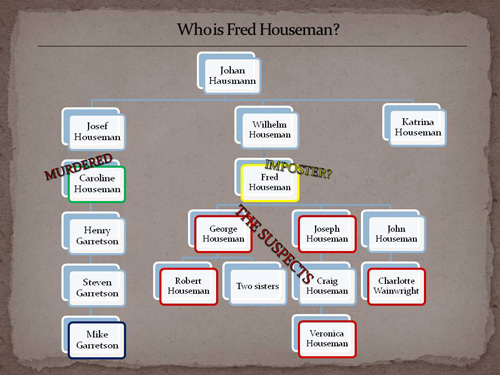 I also wrote an entire chapter about the World War I circumstances that led to an imposter in the family tree. I’ll clean it up and post it soon. Right now I’m working on Headless in Seattle. This will be the first in a loosely connected set of books I’m calling Painted Ladies. 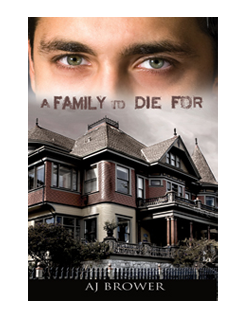 These books will follow in the line of A Family to Die For, contemporary romantic suspense with a historical twist. You do not want to have ancestors in my books—they tend to get murdered! Each Painted Ladies book takes place in a different location. The first is in Seattle, of course. The characters will find themselves pulled into a mystery in the past, while the women in the books have a few skeletons of their own in their backgrounds. In Headless, the characters find a skull with no body. They take to Seattle’s Underground, dating to the 1890s, in the search for Klondike gold and the strange legacy of prohibition. Next will be Bury Me Back in Old Virginia, which follows the trail of a soldier who buried his secrets during the Civil War in Virginia. A deadly beating during the St. Louis World’s Fair in 1904 is the genesis for Beat Me in St. Louis. I’m writing like crazy, but I love hearing your emails and comments. Send me a note. Or if you like, I’m on Facebook now! And I blog at Romance Roll Call every second Thursday. You’re welcome to send me comments there as well. Wishing you mystery and love!